Paint.NET had a major release today of version 3.5 of their software. Until today, I had not heard of this application which surprised me quite a bit. I had thought that the best free photo editor for Windows was GIMP (although I am not a huge fan of it). This is not a GIMP vs Paint.NET comparison, but one advantage is that GIMP can open Photoshop .psd files. 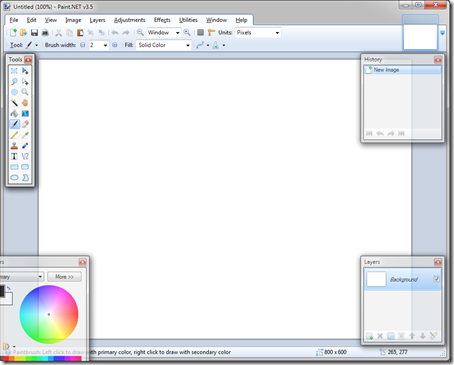 The interface for Paint.NET is very quick, clean, and intuitive. At first glance, it may just look like Windows Paint on steroids, but I wouldn’t even put them in the same category. This software offers features that come with the expensive Adobe Photoshop software but is easier to use and better yet, FREE! Active Online Community – Their message board has over 18,000 members where you can find numerous of step-by-step tutorials with pictures. 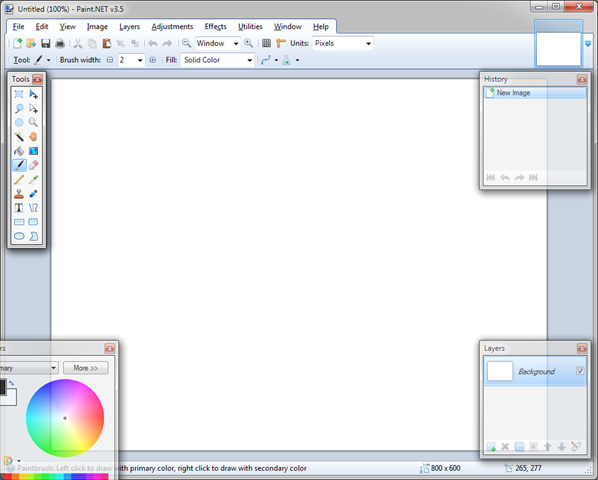 Also, you can download many user-created plugins to expand the functionality of Paint.NET for free! Automatically Updated – You don’t have to worry anymore if you are missing out on some new features or bug fixes. Paint.NET will automatically install upgrades with a click of a button. Unlimited History – Every action you perform can be reverted. No more being stuck with unwanted changes you made! Small footprint – Can you believe that a full-fledged photo editing software is only a 4.8 MB download?! Wow!